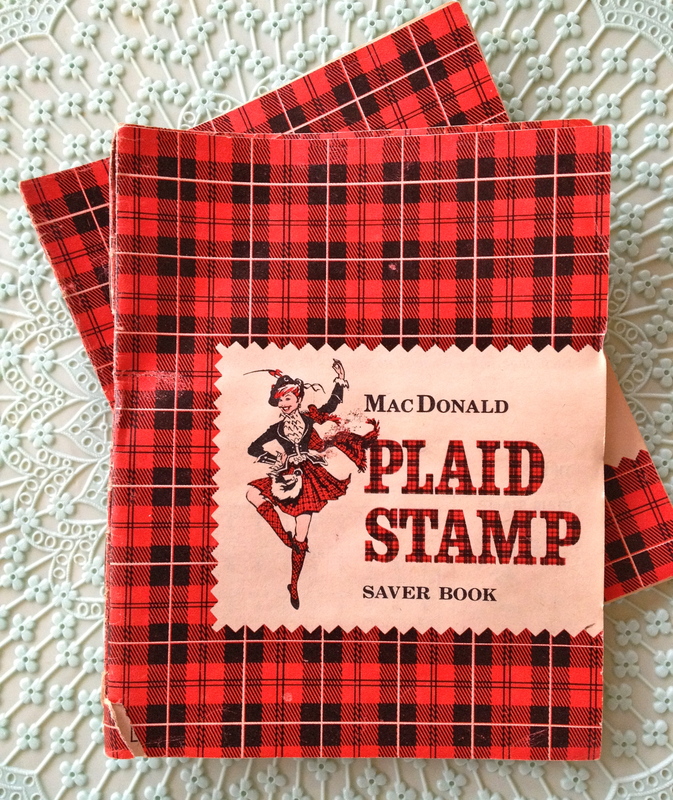 Posted: November 26, 2014 | Author: luray | Filed under: Fun Finds, Memories | Tags: Plaid Stamps, the way we were | Comments Off on Save your stamps! While I’m waiting for an apple-cranberry pie to finish baking, and for BluesRay to make it home through the first snowfall of the season, here’s a little bit of vintage goodness. If you’re old enough, you remember these! Don’t you love the Barbie doll-like Scots lassie? Look inside for more vintage stampy goodness! What does it say about me that the object I loved most at Sage Farm was . 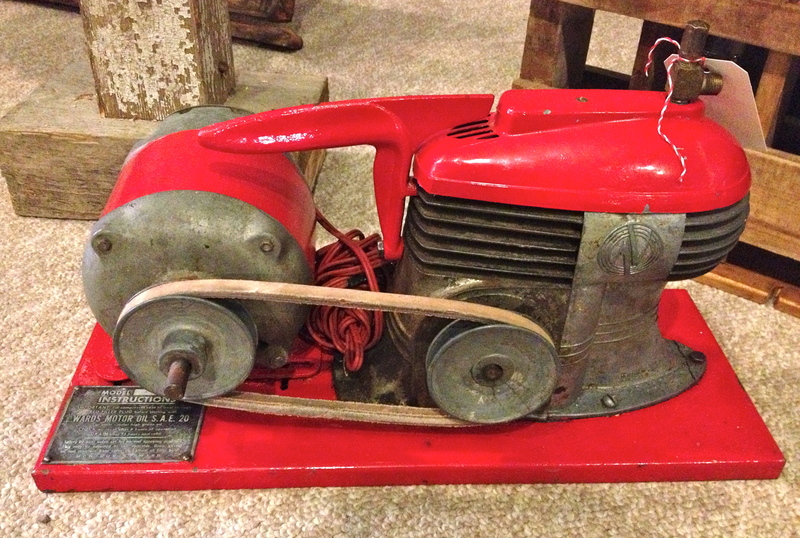 . . a vintage air compressor? Don’t even answer that, okay? Because I already KNOW I’m weird, okay? Seriously, how do I love this thing? Let me count the ways. Click here to find out how I fell in love with an air compressor. 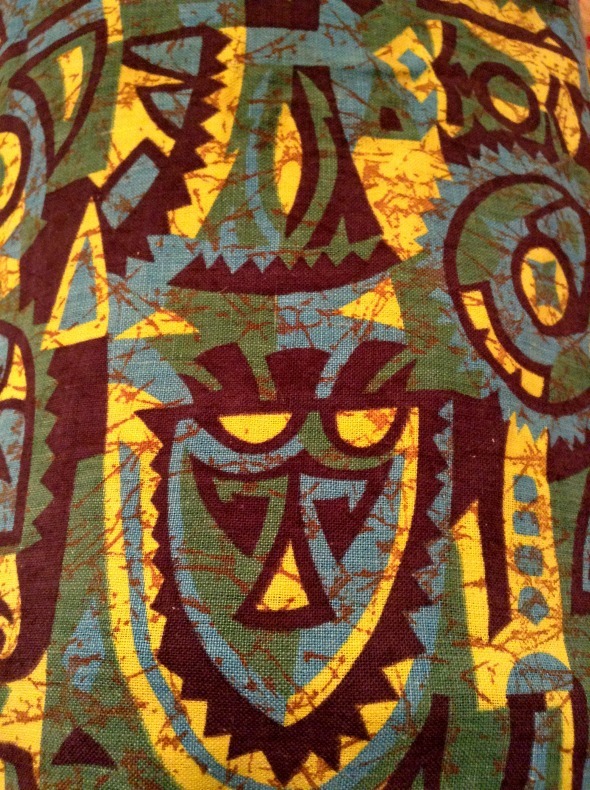 Would you take this fabulous Tiki fabric to the thrift store? Tiki with fake batik print. It sure caught my eye! Would you believe I found even MORE tiny vintage table toppers? 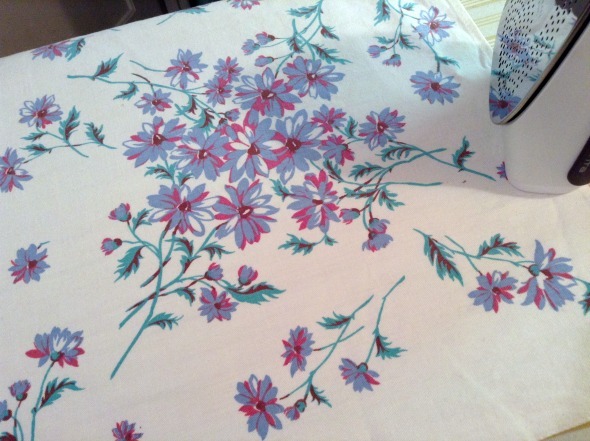 I never expect to find vintage tablecloths when I’m thrift shopping, but the past few months have been exceptionally surprising. Would you like to see my newest tiny table toppers? It’s 30″ long and was cut from yardage 36″ wide. Two edges are hemmed, the other two are selvages. How far would you go to salvage vintage linoleum? Would you go five miles? Fifty? How about all of 10,000 miles?